Bakers S.A. Limited is proud to be a company that empowers its employees as best it can, by providing every opportunity for staff and workers to excel in their roles and gain extra responsibilities to reflect their skills development. Bakers has committed itself to assisting all employees to achieve their career goals. Two instances saw Mohsin Cassim promoted from Admin Clerk to Team Leader, and Jacques Smith promoted from Team Leader to Manager. Bakers congratulates the pair and hopes to see many more employees climb the ranks at the company. From Admin Clerk to Delivery Notes Team Leader, advice from Mohsin Cassim. 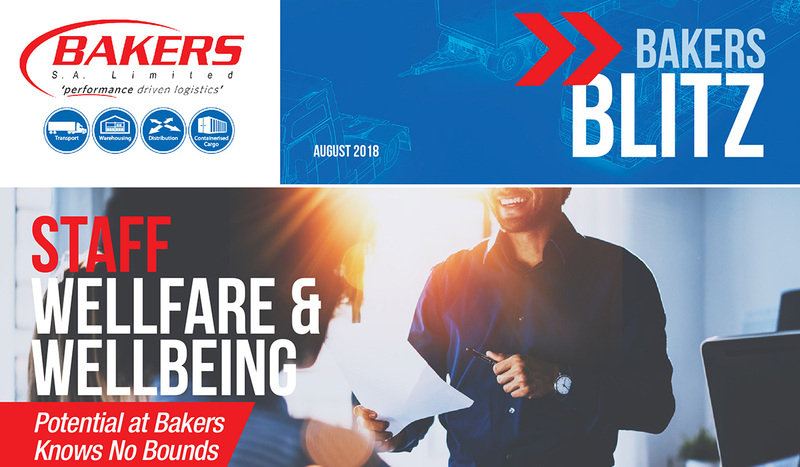 The Bakers Learnership trains unemployed individuals as transport drivers under code 10 and code 14 with an eye to provide opportunities of employment for hardworking individuals once the course is complete. Over the past 12 to 18 months, 150 individuals have been taken on for the Learnership, with 137 having completed the training and 114 being employed by Bakers. Learnership graduates are first employed as general workers and code 10 drivers. Based on their ability to excel, they are then promoted to code 10 and code 14 drivers. Bakers is proud of all our Learnership graduates and look forward to see their strides in the company. From Team Leader to Distribution Manager, advice from Jacques Smith. with health and wellness considered essential for productivity and growth. As such, programmes are designed to not only encourage health and wellness on the job, but to teach practical skills as well.